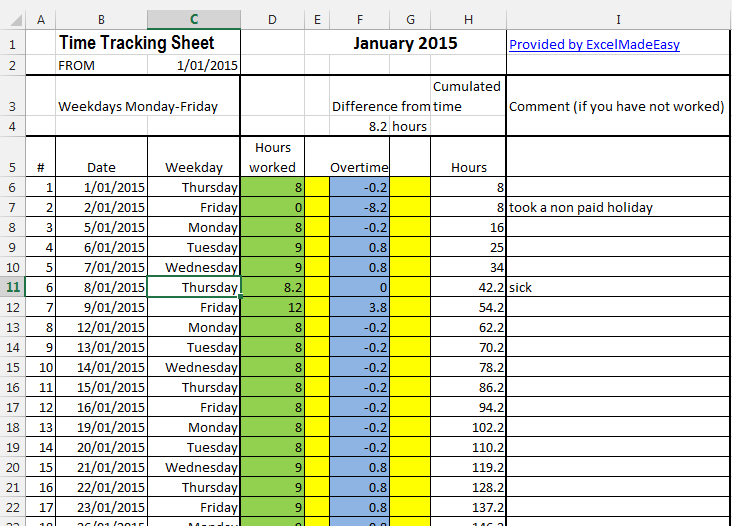 Tracking the time your employees are working or just tracking your own time on a project or on the job is important. The very simple First Page where you enter the Year and the number of hours per days to work. 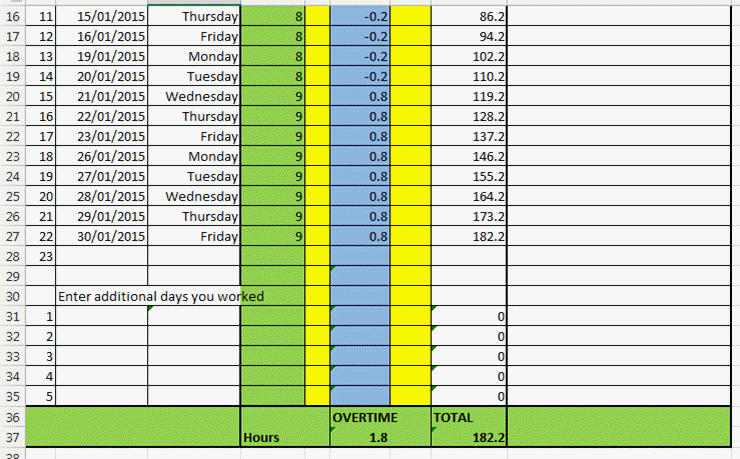 On the bottom of it you can see total time, overtime and all the months. Download the template from here.